Everything is building up to the main event; we got the a/c assembled, tested and test flown over the past couple of days – all ‘A’ OK. The landscape is stunning! 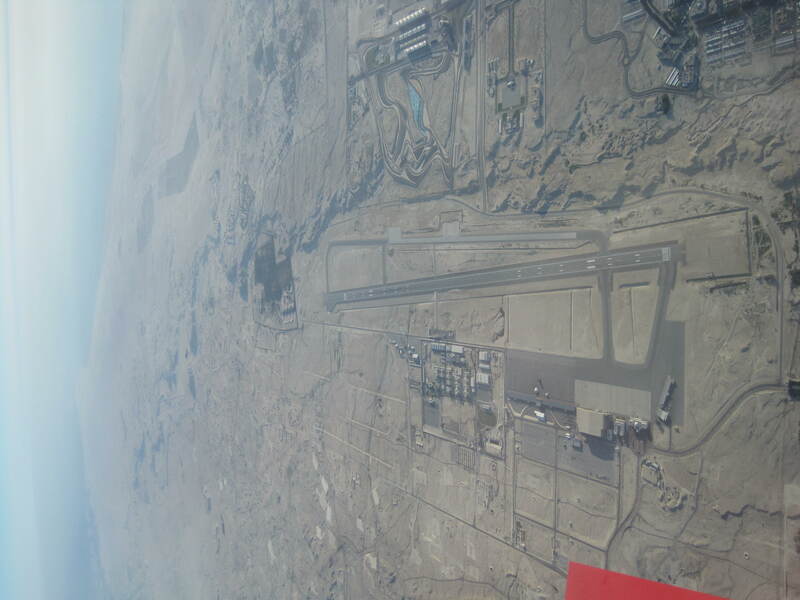 The days are filled with aircraft prep, practice and meeting the other pilots, teams from all over the world. 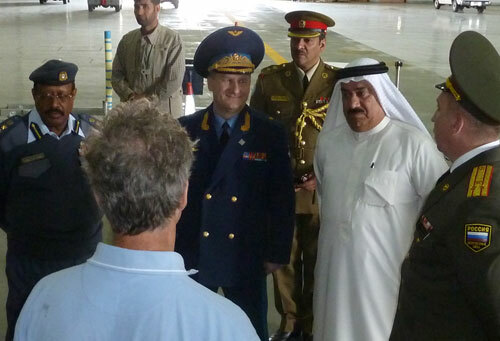 Mark meets Russia’s deputy C in C Major General Vladimir Gradusov introduced by Brigadier Al Mussallam and Captain Abdulrahman Al Gaoud of the Bahrain CAA.